Whenever you are getting ready to buy or sell a residence, taking the temperature of the local housing market is part of how you prepare to engage. When St. Cloud real estate prices are on the rise, bargain hunters know they’ll have to scramble. When St. Cloud real estate prices are flat or on the downturn, spotting good value in the local listings is easier. A slow market means that those sellers who are impatient to move on will be willing to reduce their asking price. They will tend to “find the market” more quickly, rather than waiting it out. Our St. Cloud real estate prices are seldom in exact lockstep with the national market—but when it moves, the impact is felt sooner or later. Of all the national barometers that are out there, the pre-eminent one is the research done by under the Case-Shiller banner. St. Cloud homeowners whose stress levels went up and down with the extreme price rise and fall would have been a lot more comfortable had they just snoozed through the whole affair, confident that the long-term history of real estate demonstrates, as the name implies, just about the most ‘real’ investment you can make. 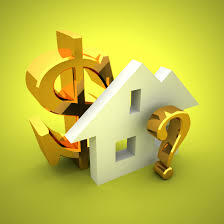 When you get ready to take a look at the residential market, I hope you will want to give me the first call. I’ll share the latest up-to-the-minute info on St. Cloud real estate prices and activity that will put everything into meaningful perspective!